We all know that we need sleep. Furthermore, we need quality sleep to lead functional and healthy lives. However, having a good night’s sleep may be difficult for some who either live near a busy street, have rowdy neighbors or even sleep next to a snoring partner. 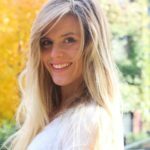 Whether you are a light sleeper, or a heavy sleeper, there is one solution that can help eliminate noises and replace them with nature sounds or white noise. Sound machines can be used to help babies go to sleep, are great for people who need to focus at work and also have been known to relieve those with tinnitus or ringing in their ears. If you need some quality shut-eye or can’t seem to stay focused at work, then a sound machine might just be for you. Why is this good for my health? So, which one do I buy? Sound machines come as either white noise machines or nature sound machines. While white noise isn’t actually a noise, it is actually a collection of all the components of light (VIBGYOR) thus making a gentle sound when coming in contact with the human ear. White noise machines work by masking unwanted noises while producing white noise, which makes it easier for people to sleep or focus. In 2008, a survey found that of 2,021 problem sleepers, sound machines were found to work almost as well as medication in getting individuals to sleep. (Link: https://www.verywell.com/white-noise-and-sound-sleep-2224280). Additionally, another study showed that white noise sound machines can help patients staying at a hospital in an Intensive Care Unit by blocking out ambient sounds, thus helping them have more undisturbed sleep. Furthermore, white noise has been found to also help people with tinnitus or ringing in their ears by masking the buzzing sound. Sound machines are also available as nature sound machines, which feature sounds like rainfall or ocean waves, which when repeated over and over, they become easy for the brain to ignore. Depending on your preferences, either a white noise sound machine or a nature sound machine can help you to sleep better or focus more. 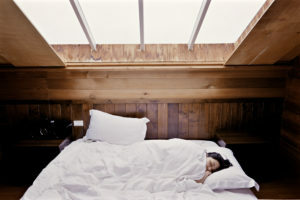 When considering the benefits of a sound machine, it comes at no surprise that quality sleep is the number one reason. Sleep is a vital portion of our day and without it or enough of it, we suffer from a myriad of physical and mental problems as a result. With a good night’s sleep, our brain repairs and forms new pathways to help us process information better and improve learning. Without sleep, studies have shown that sleep deprivation leads to issues with solving problems, making decisions, controlling emotions and even the ability to cope with change. 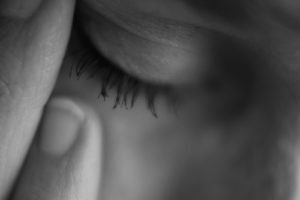 In serious cases, sleep deprivation was also linked to depression and suicide. In addition to mental health, physical health also benefits greatly from quality sleep. Poor sleep has been correlated with an increased risk of heart disease, high blood pressure, stroke, diabetes and kidney disease. If you find yourself suffering from sleep deprivation, then a sound machine should be your next best purchase. After looking at the top-rated sound machines on Amazon based on user reviews, we have come up with three sound machines that could potentially lead to better sleep nights and a clearer focus during work days. 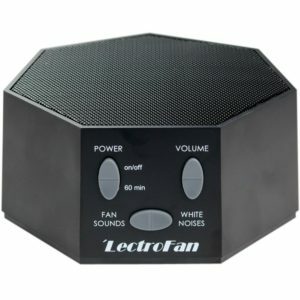 This white noise machine from LectroFan has made many customers happy with 84% of 7,562 users rating it at 5 stars. 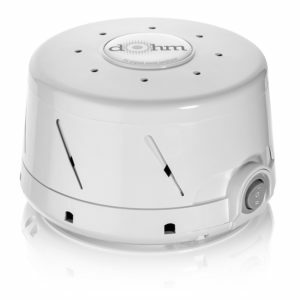 This white noise machine comes equipped with 10 fan sounds and 10 ambient noise variations including white, pink and brown noise. This device is powered by AC or USB, which makes it easy to bring anywhere. Users have praised the performance of the LectroFan and have even stated it is the “BOSE of sound machines”. One customer said that had a roommate who snored like a “freight train” but the LectroFan successfully masked the sounds. The only issue was with one user who commented that they wished the LectroFan had its speaker on the sides since all the sounds were reflected off their ceiling. Overall, the LectroFan proved to be efficient at blocking unwanted noises in bedrooms and work spaces. The Marpac white noise sound machine comes in at a close second with 70% of 3,838 reviews giving it 5 stars. This sound machine comes with two speeds with its dual speed motor which powers a mechanical fan in an enclosure with holes that can be opened or closed, thus changing the volume and the pitch. The Marpac is for domestic use only and comes with a 120V cord. While some users truly liked the “old school” style of the Marpac, others found the fan sound to be annoying. Multiple customers found that the Marpac didn’t have a enough settings to mask louder sounds, so it didn’t work well in a nursery. Despite this, numerous users found the Marpac sound machine to be effective and help them get quality sleep. 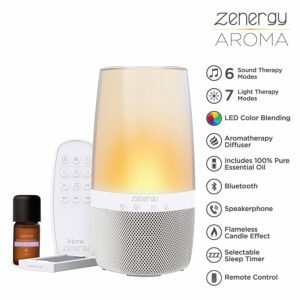 Honorable Mention: iHome Zenergy Aromatherapy Bluetooth Speaker Sound Machine Open Your Senses, Light Therapy, Sound Therapy, Color Changing, Relax to Zen Therapy Soothing Sounds & Aromatherapy Oils Sleep Easy! Besides offering a sound machine, the iHome comes packaged with aromatherapy, which makes it a compelling deal. Of 23 reviews, 74% of users gave the product 5 stars since they loved the combination of aromatherapy and the sound machine. The iHome comes with 6 different sound therapy tracks, 7 varying light therapy modes and an army therapy fan for use with essential oils. Customers loved the Bluetooth feature of the iHome and one user stated how it was perfect for their yoga studio. Some users believed that the aromatherapy could be improved, but found that the sound machine worked great. Clearly, this sound machine from iHome gets the job done with also offering an additional feature. From nurseries to offices, a sound machine could be the best addition yet that you can make to a room. Maybe you find yourself needing more quality sleep or just need to drown out the sound of the copy machine in the office. Regardless of the problem, a sound machine is your one-in-all solution.